It’s a little hard to believe, but the biggest technological advancement the outdoor industry has seen in the past twenty years is a modified feather. A water resistant down plume to be more specific. For decades, down has been the king of insulators and the go-to fill for high quality sleeping bags and apparel. It’s also virtually worthless when wet. That is until now. Yes, it is a bit anticlimactic, but the big technological breakthrough here is water resistant down. If you want to make it sound more exotic, use the term hydrophobic down. Will it change the industry and how people select their backcountry gear? Absolutely. Unexciting as it sounds, this is a leap forward equal to the jump from waxed canvas to GoreTex. So what is water resistant down? 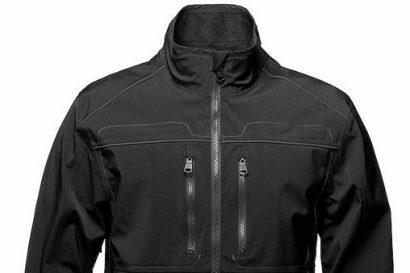 In a nutshell, water resistant down is a process by which each individual down plume is modified at a molecular level with the addition of a hydrophobic polymer coating. In more geeky terms, this technology uses a plasma deposition process by which a thin film is applied in gas form onto the solid substrate of the individual fibers of each plume. Not just a glob of waxy goo slathered over a bunch of feathers, these new methods apply hydrophobic coatings at microscopic levels to the teeniest of individual down fibers. With the introduction of this new process, water resistant down has supplanted regular down as the fill of choice, and done so seemingly overnight. 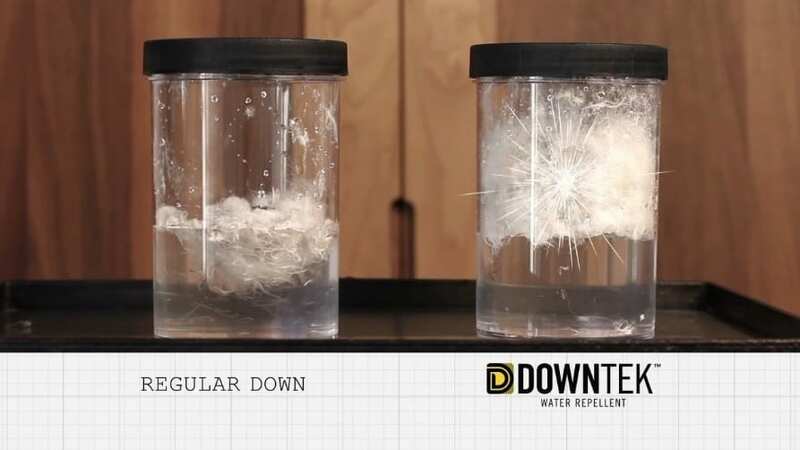 Marketed under a variety of monikers like DriDown, Ultra Dry Down, DownTek and Encapsil, these new down fills are revolutionizing the way consumers buy and use their down products. 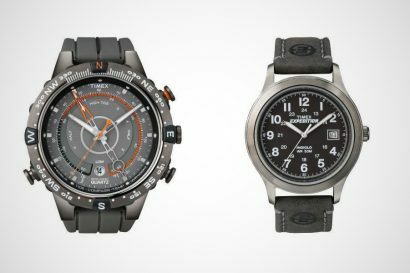 The science of water resistant down is admittedly a little boring, but seeing it in action is very interesting. If you grab a clutch of treated down plumes and drive them deep into a beaker of water, they’ll pop to the surface dry as the proverbial bone. That makes for a fun parlor trick, but in the real world of backcountry travel, treated down is nothing short of amazing, and maybe even life saving. Not only does it stay dry ten times longer than untreated down, it retains 70% of its natural loft when wet, and then dries 30% faster than regular down. The benefits don’t stop there. Some of the finer treated down processes can actually increase the fill power, or fluff-factor, of down. That increases its weight to warmth value. The durability of a treated plume is also bolstered with these treatments. 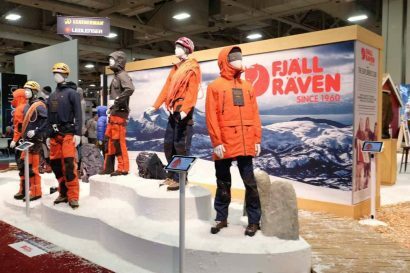 I spoke with a product designer for a highly reputable sleeping bag manufacturer at a recent trade show. When I asked how durable their treated down was, he simply said, “We washed our test sleeping bag a bunch. We washed it, and we washed it. We washed it a lot.” Turns out they washed their treated down sleeping bag nearly 75 times before they simply gave up. The bag retained all of its original loft, wash after wash. There are other noteworthy benefits to water resistant down. Duck down has long been best avoided as a fill material. When wet, or even damp, it smells “ducky,” which is to say it really stinks. Add a little micro-polymer magic and duck down is not only water resistant but daffy-stink free. Just when you think it can’t get better, these treatments have been proven to be environmentally friendly, and only increase the price of down bags and garments by just a few bucks. Win, win, and lots of win. Who knew down could be so amazing?